So much sparkle and so pretty! The top pieces are Swarovski Thousand Eye Volcano Purple and Orange crystals set in Pagoda drops. 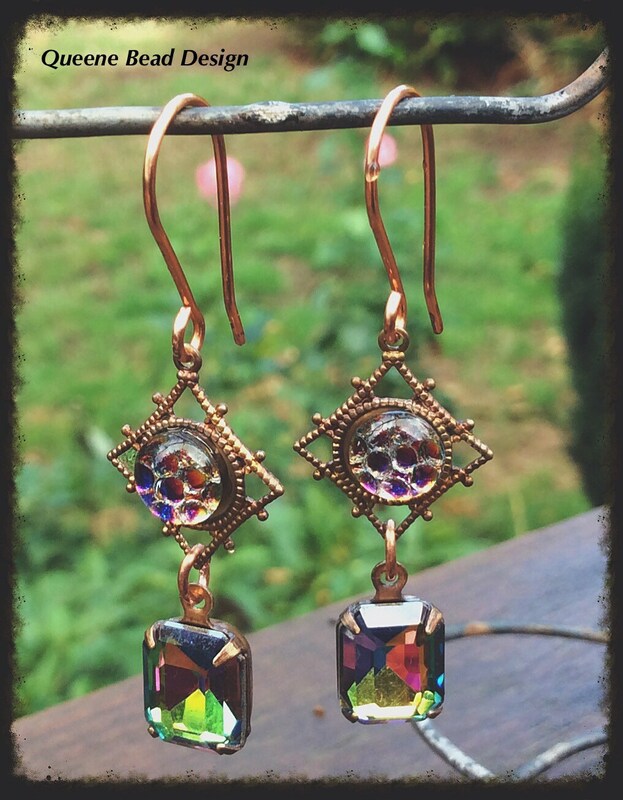 I attached them to Swarovski Vitrial Crystal octagon drops by handmade copper jump rings. I made the copper ear wires and work hardened them to make then long lasting. 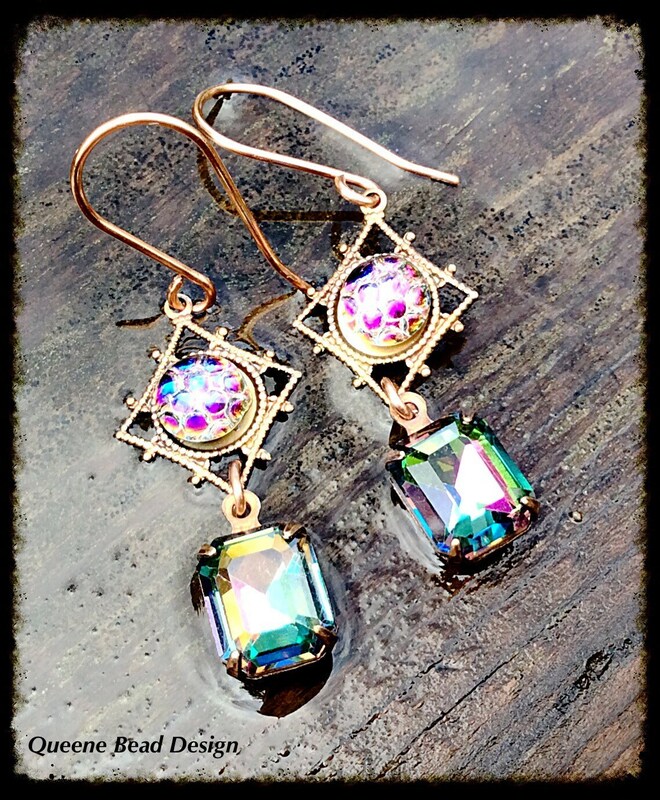 Both drops are in oxidized brass settings. Earrings are 2" long from the top of the earwire.